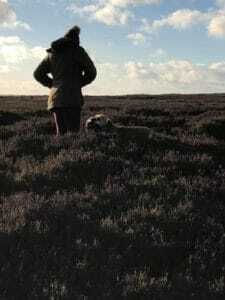 For many the Grouse Season has already ended or in some areas unfortunately didn’t even get started this year. 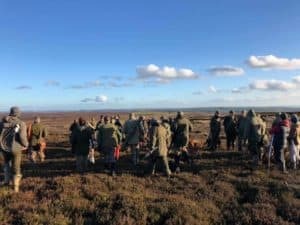 But if the number of surplus grouse still allows then estates look to thank all the staff that have helped throughout the year by hosting a Keepers Day. 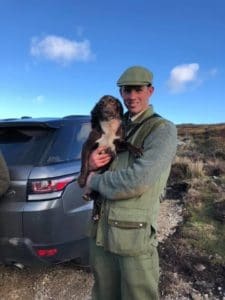 These days give individuals the chance to have a shot at a grouse, some are more experienced than others but all are very well looked after. The regular beaters, flankers, loaders, pickers, drivers and also keepers from neighbouring estates get to take part in some much enjoyed role reversals. 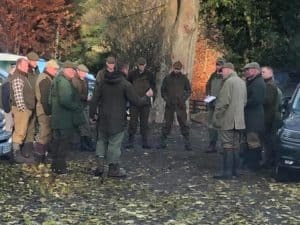 These end of season days also see youngsters having their first ever shots under the watchful eye of the keepers who educate them with regards to safety and shooting etiquette. 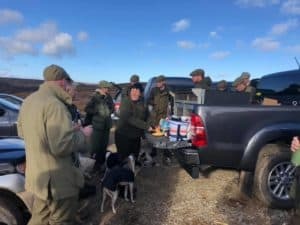 Grouse Shooting brings together people from all different walks of life and definitely has it’s own special community, young and old friends are made here for life and on this particular keepers day everyone brought along food which made for a real communal feast at lunchtime. 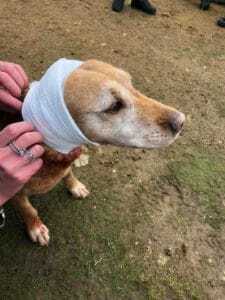 The only mishap on the day was Flame the Fox Red Labrador who needed some running repairs as she had cut her ear, luckily we had a veterinary nurse on hand to administer first aid! 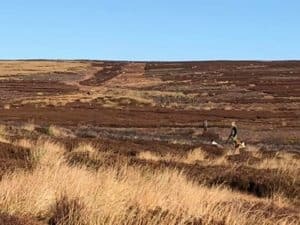 As you can see from the photos it didn’t interfere with her work as she was still picking the grouse and no long term damage was done.